Happy Trails SU racks are perfect or fixed or soft luggage. Dimensions: The SU rack loop is 12 1/8" long by 9" tall. Wondering about the difference between our SU and SL racks? See a comparison on the Happy-Trail WIKI. If you intend to run GIVI luggage side cases you need our GIVI Adapter Plate. See Photo. Each kit contains everything you need to mount two GIVI Monokey cases. The SU (Structurally Unique) Rack is designed for use with soft or fixed luggage of any type. Perfect for mounting aluminum panniers, GIVI luggage, Pelican cases or any luggage you choose. The KLRE SU rack has our new Point1 pressed insert design. This adds to the ease and functionality you've come to expect from our pannier systems. Details HERE. 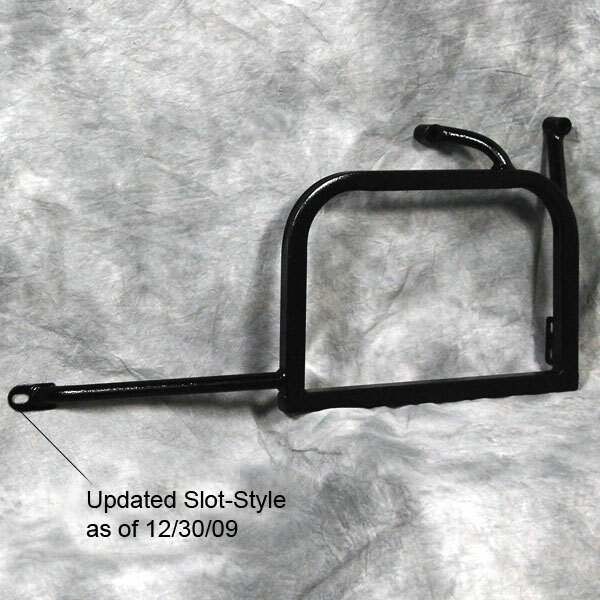 We have redesigned the SU rack for ease of install, you DO NOT have to re locate the turn signals. This install should be a fifteen minute install! 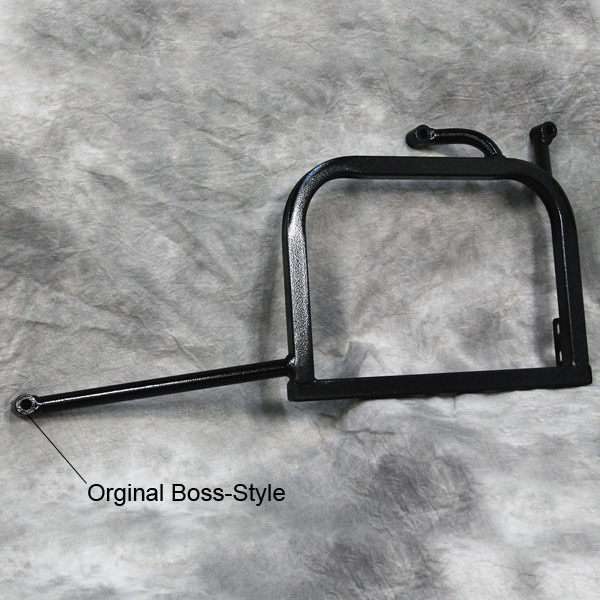 We have also included our inner tool mount that has been welded on the left (non exhaust side) of the rack making storage on your KLR very efficient! Racks improve the structural integrity of the rear sub-frame adding protection for the bike in case of tipovers. Note: SU kit does not include a tail rack. Bike specific rack means no compromise as with universal type racks. Each and every rack is fabricated by our expert craftsmen to take advantage of the existing structural points and design of the individual bike. Unmatched strength. No one makes a stronger rack and no one offers a better warranty. Our racks are built to take it ... anywhere ... anytime ... in any conditions. True adventure touring racks. When your trip depends on it accept no substitute. Dimensions: KLR650 08+ width with SU installed - 21.5"
As you know Kawasaki made significant changes to the KLR650 in 2008. Beginning with the 2009 model some factory fresh bikes push the close tolerances inherent in all Happy Trails quality products. In order to resolve fitment issues stemming from bike-to-bike variances we have changed to a slotted front mount. All fitment issues have been resolved with this slight change. (Click to see the differences between the original and updated design). In 2016 we updated the SU Rack by making the racks symmetrical and adding a welded Inner Tool Plate base to left SU Rack to allow for carrying tools on the inside for the SU Rack. In 2016 we also eliminated the need for splicing the turn signal wires by the symmetrical design. The installation of the SU Rack is much easier now and takes significantly less time to install.